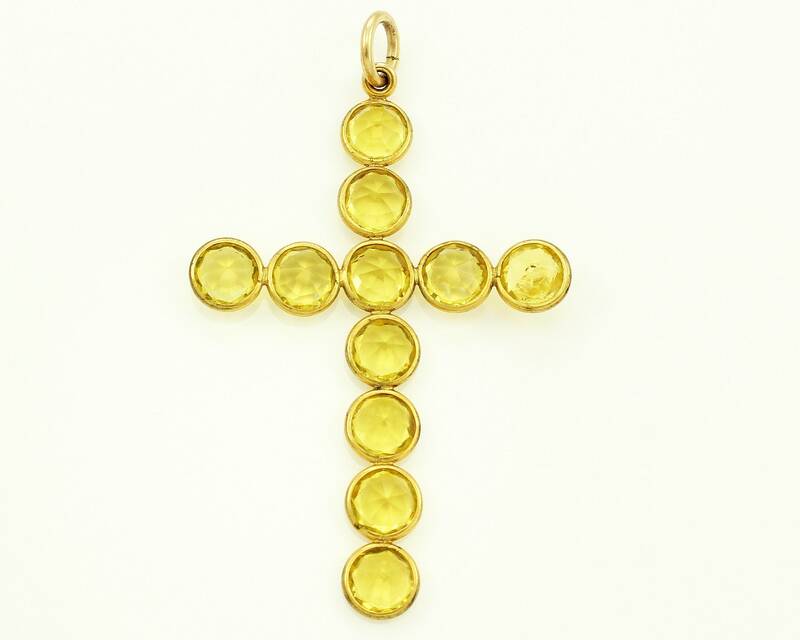 Antique Yellow Paste and 10K Gold Filled Oversized Cross. 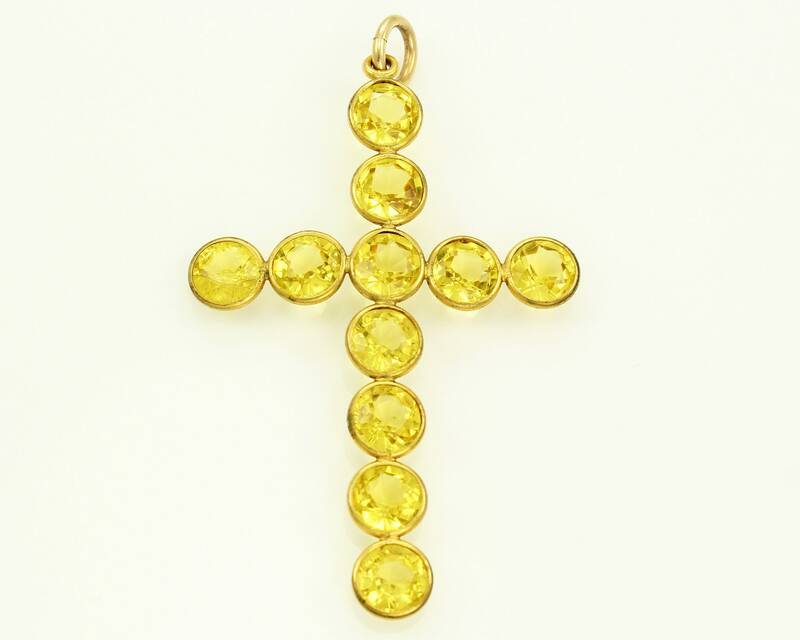 This lovely cross is simple in design but very sparkly. 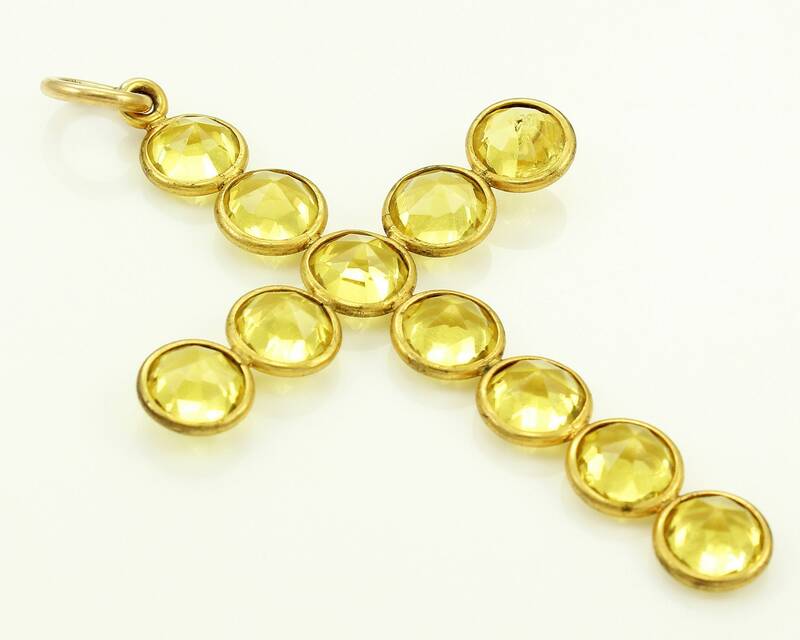 From a very old local estate, the piece features eleven (11) round faceted yellow glass stones bezel set in an elegant cross. CONDITION: Good Vintage Condition with one stone cracked and chipped. Not noticeable when worn.